The southern state of Kerala is famous for its awesome natural beauty, spicy and delicious cuisine, ayurvedic massage and medicine, among much else; but there is a lot of shopping to be done here, too. If you happen to be visiting Thiruvananthapuram, you are in for a retail surprise. Being a state with so many booming industries, Kerala has the best of many things to offer shoppers. Handloom fabrics, wood and brass carvings, spices are few among them. Walk around the local markets or head to one of the city’s new shopping malls, explore MG Road and Chalai Bazaar to get a deal or just enjoy some window shopping and the local street food that is around every corner in these bustling market areas. Here are the best places to shop in Thiruvananthapuram. The most well-known market in all of Thiruvananthapuram has to be the famous Chalai Market. Find anything and everything you can imagine at this bazaar that is over a hundred years old. The super busy, two-kilometre-long market road is bustling with dozens of shops and hundreds of shoppers looking for bargains. Garments to groceries, you will find whatever it is you are looking for here, with shopkeepers always keeping a little room to bargain. Also, try out the local street food at carts and stalls all over the marketplace. Timings: 9 am to 8 pm. Evenings can get very crowded. If you are in search of local artefacts, souvenirs or gifts to take home, Sarwaa Lifestyle is definitely a one-stop shop for you. Overflowing with thousands of pieces of all shapes and sizes, there is no telling what you might find but be sure, find something you will. 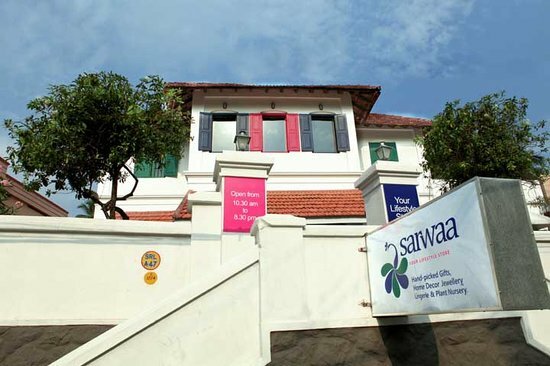 Apart from a plethora of handicrafts, garments, accessories and jewellery, the store has its own café too; take a break at the Café Sarwaa where you can enjoy some local filter coffee, a special of Kerala, among other delicious treats. 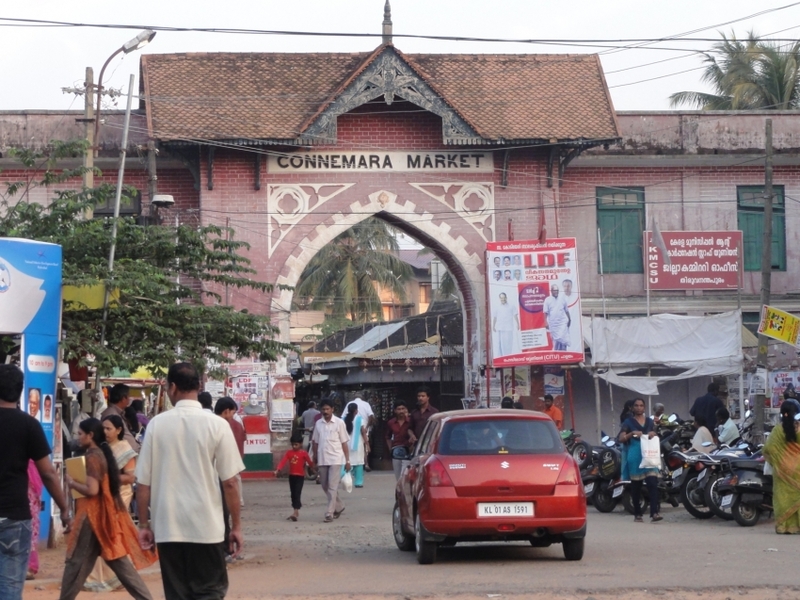 Located at the Palayam junction in Thiruvananthapuram is the Connemara Market. This recently renovated market is a hub for wholesale fruits, vegetables and spices. Lots of local restaurants get their supplies from the Connemara Market and, as a result, the marketplace can be crowded but a place for some great bargains nonetheless. 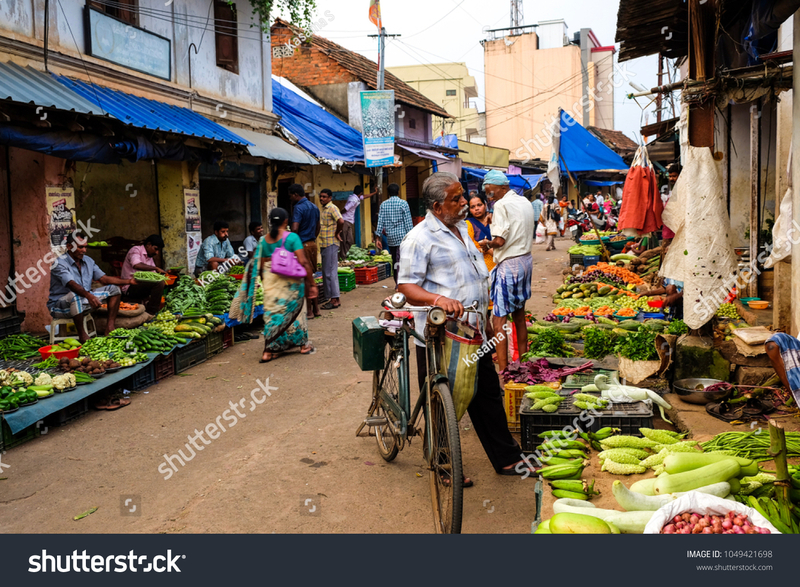 The Saphalyam Complex, adjoining Connemara Market, is another wholesale supplier with many little shops selling garments, jewellery and other fashion accessories at great prices. Afternoons are usually more relaxed with shopkeepers being able to concentrate on walk-in customers. As the name suggests, this lifestyle store in the heart of Thiruvananthapuram, has hundreds of items from all over the world, ranging from cuckoo clocks to blue delft plates, clothes and shoes to toys and local handicrafts; with its own food court, this once popular shopping mall, converted to a lifestyle department store is even more popular today. Great bargains and mind-boggling variety, this unique store is not like your average Thiruvananthapuram shopping mall. A hotspot for locals and visitors alike, don’t miss this amazing experience, reminiscent of family-owned shops you’re more likely to see in Europe than in South India. Best For: International and local handicrafts, knick-knacks, furnishings etc. 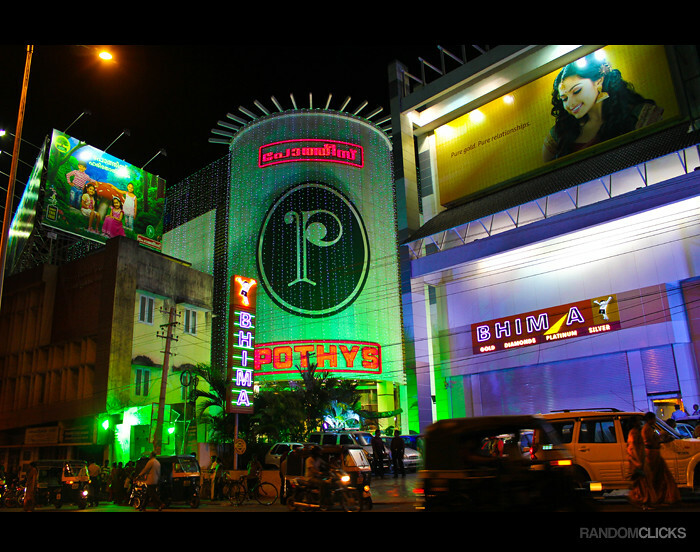 One of the newer and largest shopping malls to pop up in Trivandrum in recent years is Pothys on MG Road. In the heart of Trivandrum’s most popular shopping area, this six-storey mall is a megastore for silk sarees, lifestyle collections, jewellery, apparel, cosmetics, electronics and even home provisions; with plenty of gift ideas and local specialities available, too. Centrally located and with two floors of parking, the convenience of this massive department store is unlike others in the locality. The comfortable air-conditioned environment makes for a pleasant and relaxed shopping experience. 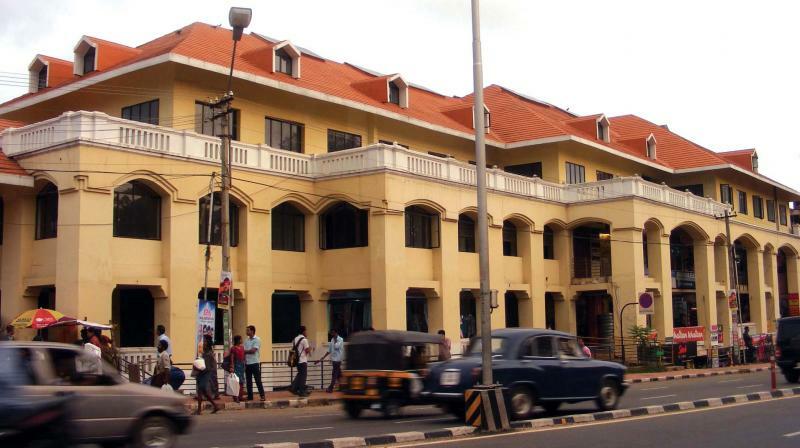 For over 20 years Saphalyam Complex, one of the oldest and most famous shopping centres in Thiruvananthapuram, right next to the Connemara Market, has been attracting shoppers from all over the city. The recent revamp of this bustling shopping arcade is a favourite with the local youth and has, in recent years, seen a large number of restaurants and food stalls pop up in and around the complex. Take a stroll around and do some window shopping; you will surely find something that catches your eye. Great discounts and wholesale prices, especially on garments, you cannot afford to miss out; textiles, antiques, electronics and many traditional gifting ideas will help you finish off that shopping list. Best For: All sorts of textiles, electronics, antiques, handicrafts, street food, etc. With a booming textiles industry, Thiruvananthapuram is a great place to do some fabric shopping. The finest quality traditional handloom, as well as modern fabrics, make Ramachandran Textiles a one-stop shop for all your material needs. Although a little pricey, you cannot find better collection under one roof anywhere else. With stores in three locations across Thiruvananthapuram, access to this fine cloth and apparel shop is easy no matter where you are. Thiruvananthapuram’s most well-known shopping area, with scores of shops selling just about anything, MG Road has remained popular with locals and visitors alike. If you really want to get your hands on a piece of Kerala culture, take a walk down the street and you will be certain to find handicrafts, locally made by master craftsmen. Kathakali masks, coir products, brass and wooden carvings among a multitude of other expertly made handicrafts will make you fill up your shopping bags with souvenirs to adorn your home or as gifts to take back. Prices are not fixed so make sure you get a bargain! Kerala, known the world over for its fine quality spices, has become a hub for spice traders and for tourists looking to take back a taste of South India. Pepper, cinnamon, clove, nutmeg, turmeric among many other spices are grown right here in Kerala and traded extensively in city markets such as Chalai Market, MG Road or Connemara Complex. Don’t miss an opportunity to visit one of the many shops in most market areas and be engulfed by the aromatics emanating from the spices. Ask for readymade spice mixes for your favourite South Indian dishes and try them at home; you will be amazed by the results. Kerala, deep and rich in culture, is famous for its ancient heritage structures, carvings and statues found all over. There exists a large artisan community within the primarily agrarian state. 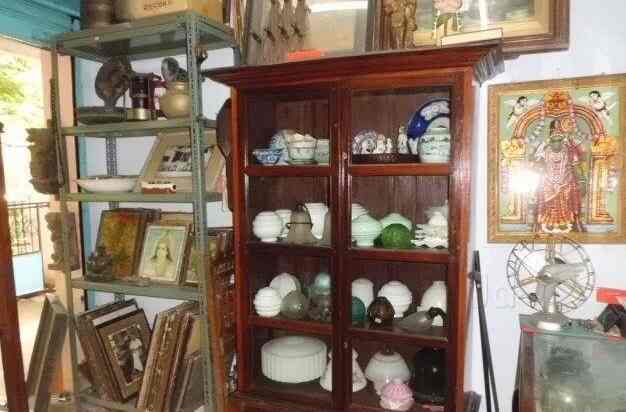 If you are looking for artifacts, antique furniture, old ceramics or even modern handicrafts fashioned in the traditional Kerala style, your one-stop destination has got to be McAdils Antiques. Step back in time as you enter this small yet hugely intriguing shop and be greeted by the owner himself that offers not only some great deals but also his insight to an era gone by. Though it may seem like a lot to cover, most major shopping areas in Trivandrum are in close proximity to each other so be sure to visit as many as you can because there is a deal around every corner waiting for you. Do tell us about your time shopping in Thiruvananthapuram in the comments.